12 months - $40.99 Only 4 left! 18 months - $40.99 Only 6 left! We bet your little one’s favorite place in the world is the Zoo, isn’t it? We can just imagine him running from exhibit to exhibit looking at all the majestic animals in awe. When he’s home is he always watching the Discovery Channel or Animal Planet? We can’t blame him, that stuff is super interesting! 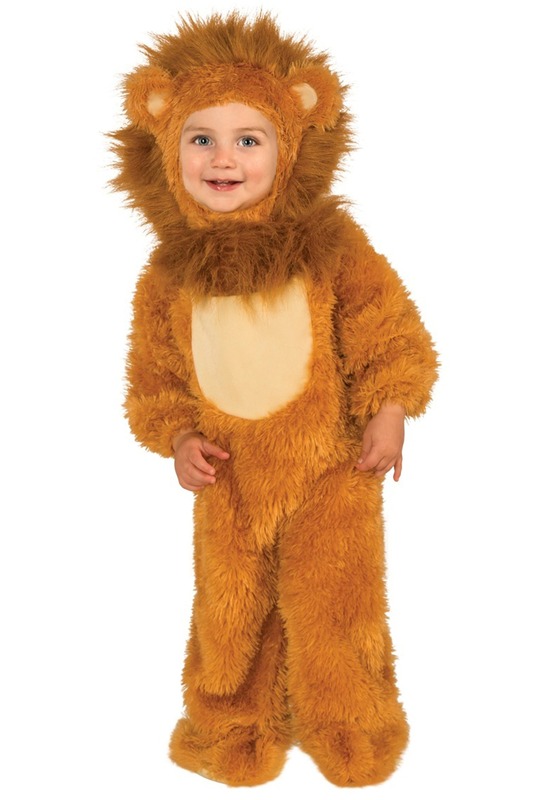 Now can you imagine the smile on his little face when you show him this adorable Lion Cub Costume? He’ll be so full of joy and happiness that he’ll let out the biggest roar that you’ve ever heard! Slip your little one into this furry brown romper and pop up the hood to reveal the cute shorthaired mane and fuzzy pair of ears. He’ll be the most adorable lion to ever have escaped from the Zoo and everyone in your neighborhood will be more than happy to open their front door when they see his cheeky little smile. We’re sure he already has quite the roar but you know everybody and their brother is going to be asking your kiddo for a mighty lion roar. So make sure he’s practicing before the big night! With this cute costume, your little cub will also get a mouse rattle, which is perfect. Everyone knows that a mouse is a lion’s best friend, who else would be able to pick the thorns out of the jungle cat’s massive paws? Put a smile on your infant’s face with this Lion Cub Costume and capture those precious Halloween memories on camera. Take a look at the rest of our lion costumes and the whole family could go out as a pride, hunting down tricks and treats in the dark of the night!